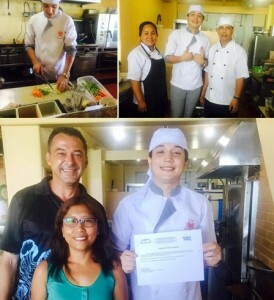 Kurt’s “OJT” at El Galleon | . Congratulations to Kurt Eaton for completing his “on the job training” at El Galleon as part of his school’s requirements. He learned lots about working in a Resort and preparing for the “real world” in the future!